I was fortunate to have lessons for meditation through the teachers of the Divine Lineage Healing Center at Recovery Café. We were to use the process of admiring fire such as a candle flame. So I chose the fire of late winter sunshine. I said the Sanskrit prayers that we learned from the teacher. Then I repeated the Shakti Gayatri prayer for about ten minutes per day. 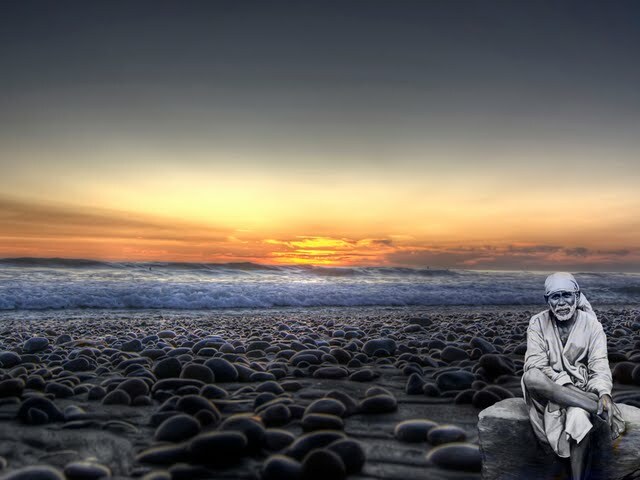 On one of those bright mornings I felt, in my imagination, the image of Shirdi Sai Baba holding up the sunshine. He was energetic and able. I felt that Shirdi Sai Baba could hold up the sunshine as if it was a flashlight. My sense of Shirdi Sai Baba was joyous and radiant like a meaning in the words of the Shakti Gayatri. I learned, separately, that the sun pours forth its life and give its warmth selflessly to life. That process, which Divine Lineage Healing Center brought to me through the teacher to Recovery Café, caused me to change for good. I felt God’s real presence.